Hi I’m Chelsea Gillespie, a Digital Apprentice based in the digital delivery centre in Shipley and last month I went to my first Hackathon. For those who are thinking what on earth is a Hackathon? 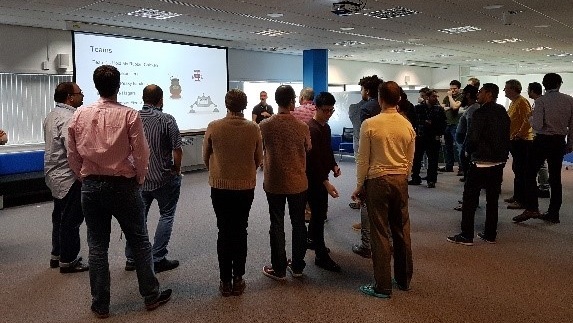 Well, it’s where business analysts, software developers, testers and user researchers all come together for a day of creativity and brainstorming to think up new ideas, create a new service, pitch to judges and build relationships with colleagues. 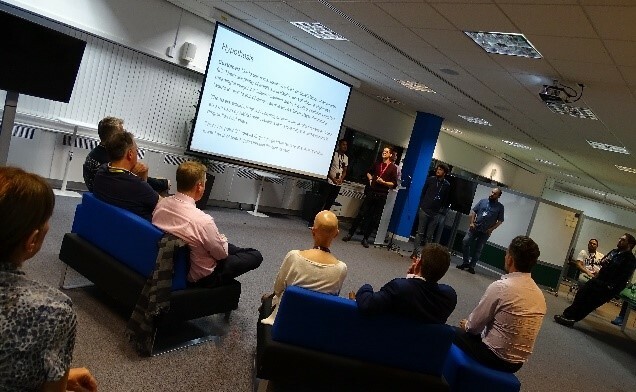 The week before we were given the theme of the Hackathon, “What kinds of services and products could we create that would make the technical platform easier for users, change how they interact with HMRC, or even make HMRC disappear? How would you make Tax Digital?”. A broad brief but a great challenge to get our brains working. 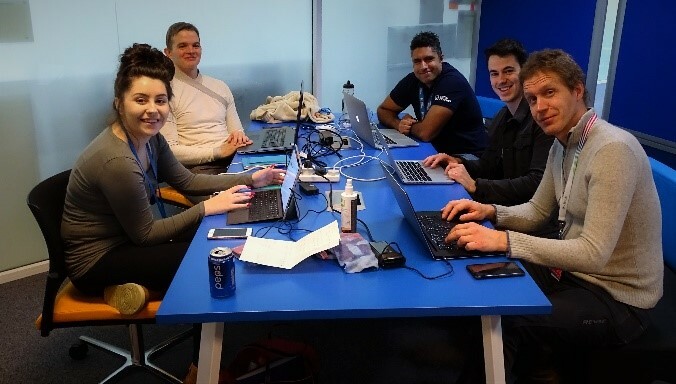 Most teams were forward thinking and managed to organise at least one pre-Hackathon meeting. My team had two pre-Hackathon meetings to discuss ideas and focus on our game plan. This left the day itself to build our service and practice our pitch to tip top standard ready to present in front of the judges at 17:00. We arrived with our competitive hats on ready to build the winning service. I was sceptical at first and worried it would all be about coding but I was pleasantly surprised. Once we got into our team areas, everyone was involved. The developers spent their day with fingers to keyboard, only breaking for food. The business analysts created the pitch, the user researchers did user research. Everyone had a role and got stuck in. Things got really tense when the “half an hour to go” alarm was raised seeing teams practising pitches or rushing to get the last line of code in. Five o’ clock soon came and it was time to present. The teams came up with some excellent services/ideas which gave the judges a rather challenging task when choosing the winner. Ideas ranged from integrating online banking with VAT so the calculations and payments are immediately completed, a Raspberry Pi sounding an alarm if there was a user error, a cost estimator for organising meetings and a hook up with Twitter to allow HMRC to filter complaints from the public tweets. My team presented first and despite some technical difficulty, we managed to win the Hackathon with our tax friendly approach which integrated services with social media and cut down the need for physical post and the use of brown envelopes! Overall, the day was enjoyable, innovative and excellent for building relationships and communication in the digital centre. For me the most positive outcome of the Hackathon was speaking and working with people I had smiled at in passing but never actually had a conversation with. I feel much more familiar now with my colleagues. 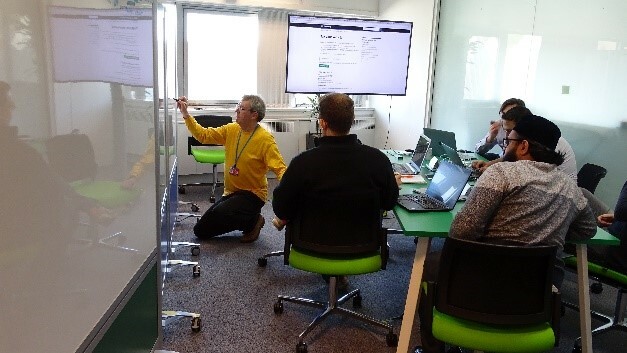 Working together as a whole centre and not just in our individual teams not only improves our work life but it also means we can ask others for help if we need to deliver something in our project that we aren’t too familiar with; ultimately improving the services we deliver to our customers. I’m looking forward to the next Hackathon already.